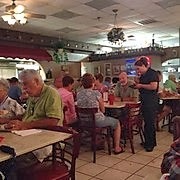 Went to dinner late last night at Italia Mia in St. Pete. It is THE BEST Italian restaurant on the planet. Okay ... so I haven't tried all the Italian restaurants on the planet ... but this one is pretty darn fantastic. Not much to look at, it's located in a strip mall on 62nd Ave North (1165 to be exact), but I love it. The owner hangs out in the kitchen ... you'll see him as you walk through the door. His name is Pompello and he always has a TB Rays cap on. When he sees me, he will yell ... "Hey! You been to Vegas lately? How much-a you win?" 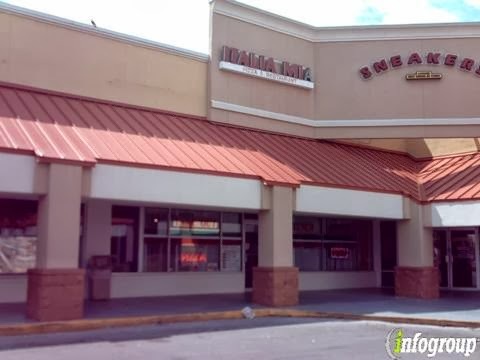 My buddy Mike introduced me to the "Mia" about 10 years ago ... maybe more ... we used to eat lunch there a lot when I worked in St. Pete. A mother/daughter team usually served us. The mom had a string of boyfriends, all bikers and all ticked her off at some point. She served them some interesting dishes when she was unhappy. Not sure any of them are still alive. Her daughter told us all about her family. I remember her little girl ... only about 5 years old at the time ... and getting ready for Christmas. She was busy buying her presents, all in pink which was her favorite color: Pink crossbow, pink hunting knives and a pink blowgun, I think. They are gone now but the rest of the wait staff is pretty much the same. They are always friendly, always talking to you as if you are eating in their dining room at home and no one has secrets. I order either chicken cacciatore or a tuna sub ... not that there aren't other great things to eat. The menu is filled with delicious pizzas, calzones, pasta dishes with sauces to die for and the portions are HUGE. Deb and I usually split the cacciatore (when it's not Lent ... like last night). She had a tuna salad. The bread ... by the way ... is the best part of the meal big hot crispy Italian rolls. 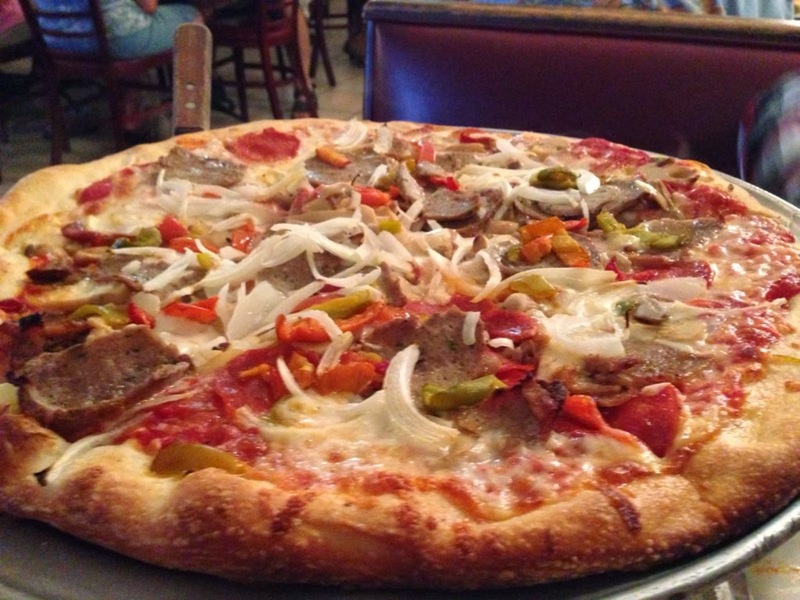 Whether you live in Tampa or Wisconsin it's worth a trip to Italia Mia. You'll be hooked.